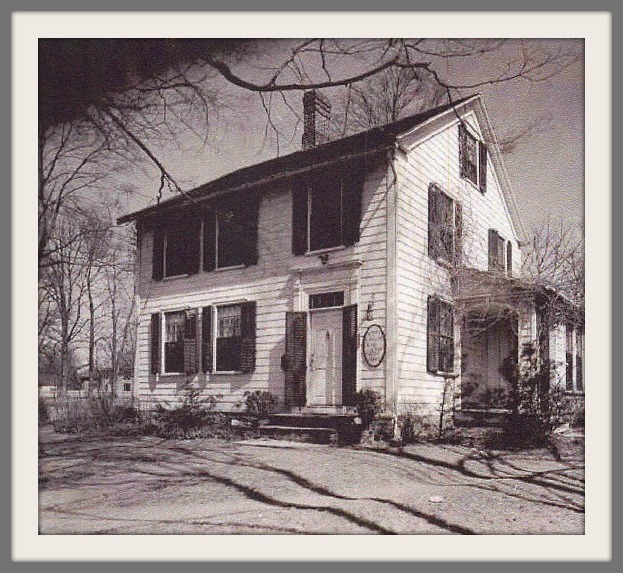 On Wednesday, “06880” introduced a new feature: “This Old House.” Every Wednesday we’ll post a new photo of an old house. We hope to identify 12 of them prior to a Westport Historical Society exhibit on the preservation and change. “06880” readers placed it (literally) all over the map. Guesses included Kings Highway, Cross Highway, Long Lots Road, Baker Avenue, Hillspoint Road, South Compo Road, Avery Place, Canal Street, Riverside Avenue, Myrtle Avenue, Partrick Road, Woodside Avenue and Wilton Road. All were wrong. As Morley Boyd, Maureen Aron, Wendy Crowther and Kevin Martin noted, it’s on Main Street. Today we know it as Tavern on Main. According to the Connecticut Commission on Culture and Tourism’s Historic Resources Inventory, the building was constructed in 1813 for grocer Levi Downes. A former wing on the east elevation was occupied by the Downes School for Ladies, run by Levi’s daughter Esther. The Historic Resources Inventory says that by the early 1940s, the building contained several apartments. By 1948 they had been converted to offices. The 1954 town directory lists a gift shop, clothing store and 2 real estate offices at the address. By 1965, part of the building became Chez Pierre. That famed restaurant remained in the space through the 1980s. Since 1996, it is the equally renowned Tavern on Main. There you have it: Everything you ever wanted to know about 146 Main Street. 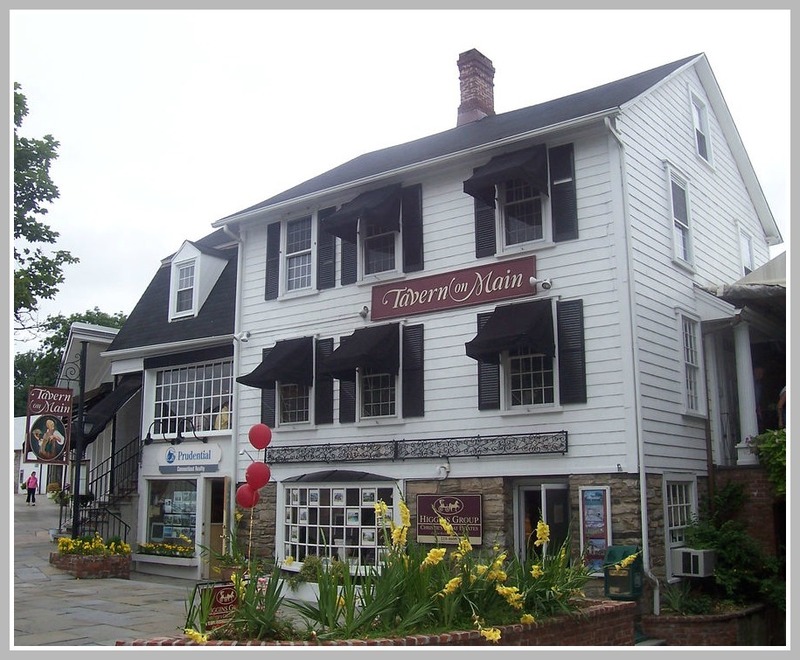 This entry was posted in Downtown, Looking back, People, Places, Restaurants and tagged 146 Main Street Westport CT, Bob Weingarten, Chez Pierre, Morley Boyd, Tavern on Main, Westport Historical Society. Bookmark the permalink. Back in 1977 I worked for the Wickert family at Foreign Intrigue which was downstairs in that building. It was my summer job which was lots of fun and I got my introduction into the world of retail sales there. I also met my future husband Louis there while he was browsing through the native American jewelry. He worked for Martin Pinto who had a hair salon on the top floor next door, which Louis eventually bought and ran. Chou Chou Raum’s Dad, Jason had his jewelry store next door on the 2nd floor at one time also. WOW. One of your best yet! Love this. Thank you. Chez Pierre…where Mom and Dad, Ruth and Warren Wilson ate dinner after house hunting…the big blackout in winter 1965…someone’s car’s headlights were aimed onto the dining room for diners to be able to see. Before Chez Pierre moved into that space wasn’t it the original Ice Cream Parlor? I seem to remember going there in elementary school on Saturday afternoons after the matinee at Fine Arts; where hundreds of kids in town were dropped off to see, I seem to remember, lots of space invader kind of movies or silly comedies. Then it moved to a spot where a Cohen’s optical store now lives and then to the Post Road spot many of your readers remember with great fondness. I thought it was next door, in the building where Jewels by Jason was located. Jane, I’m pretty certain your recollection is correct. It opened there around 1954 or 1955. Wasn’t the Ice Cream Parlor located on the second floor here in the 50s? One more thing re the history of 146 Main: the exterior is the setting for the final scene of the film, “The Man in the Gray Flannel Suit.” Gregory Peck and, I believe, Jennifer Jones can be seen walking down the steps leaving the building (which is where Lee J. Cobb’s law office is supposedly housed). And, for good measure, you can then see the building that became the Remarkable Bookshop when the camera angle changes. Where was it located in the older photo? Apparently, it was given a lower level at some point, but it looks as if it was in a more rural setting. Although maybe Main Street was more rural then. It was on Main Street back in the 1930s — though obviously in a slightly different spot. Great story. Love these and the bad parking stories. Wow! So interesting. Love this post, Dan. Interestingly, the house shows as “L.T. Downs” on an 1856 map of Westport I have, and then again as “L.T. 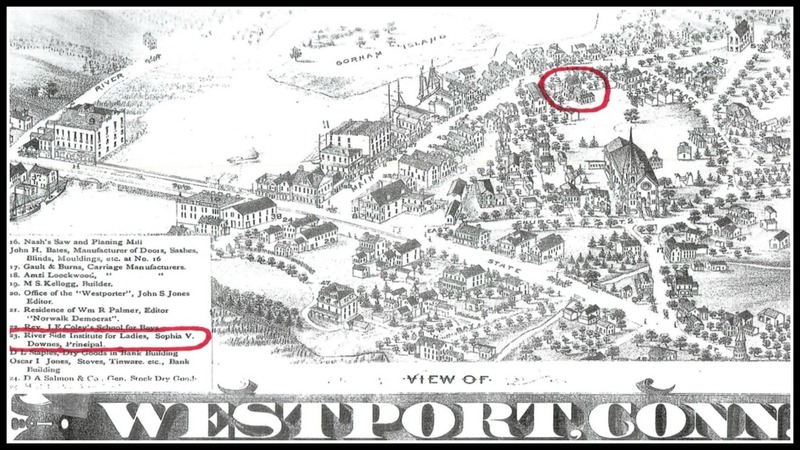 Downes” on the Westport center map in the 1867 F.W. Beers Atlas. The Grocer Levi Downes who had the house built in 1813 (per Dan’s story) married his wife Esther in 1816, had a farm in Greens Farms and died in 1868 – he’s buried in Willowbrook Cemetery with his wife Esther, who died in 1861. Their daughter Esther Downes is shown living at the house on Main St. in the 1880 census (she’s 54 and a schoolteacher, living with her sister Sophia Downes) after which another sister – Caroline – marries one of the Lees, THEY then live in the house (along with Esther, who seems to have never left the house) at the turn of the century until we then find just Esther living in the house (#66 at that point) in the 1920 census; she’s 93 (!) at that time. I didn’t know Robert Lawson lived there at some point; he definitely lived on Weston Road in the 1940s and 1950s in the area near (what is now) the aptly named Rabbit Hill Rd – but I just checked some sources, and sure enough, he shows up in the 1929 Westport Directory as an “artist” living with his wife Marie at 66 Main St. (likely what is now 146, as they renumbered Main St at some point) and in the same spot in the 1930 census. By the time of the 1937 Westport Directory, Lawson and his wife had moved to a house at Taylor Place. As I recall, Deadman’s Brook shows up in Lawson’s Rabbit Hill. I wonder if those early years spent living in downtown Westport (through which said brook runs) might have influenced him. I was just going to post that the building is the one from which Gregory Peck exits at the end of Man in the Gray Flannel Suit which is available on Youtube, but Fred Cantor beat me to it. However, eagle-eyed Westporters will recognize exterior scenes of the Inn at Longshore just before the end of the film when Jennifer Jones jumps in the family car to leave Gregory Peck.